Lawrence Churchill will act in a ‘non-executive capacity’ for the start-up DB consolidator. Lawrence Churchill, the founding chairman of the Pension Protection Fund, will once again become the inaugural chairman of Clara, another UK pension lifeboat. Churchill, who also chairs the Pensions Policy Institute and Prudential’s independent governance committee, will act in a “non-executive capacity,” according to Clara. 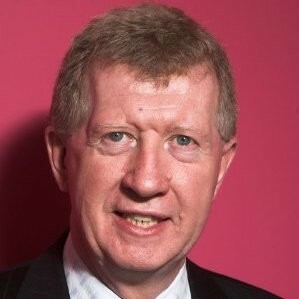 He will join Alan Pickering, who was recently named chairman of its trustee board, Michael Chatterton, and Frank Oldham. Clara is a defined benefit consolidation vehicle, which takes floundering pensions and pools their assets together to create a larger fund in hopes of shoring up all of them. This helps reduce costs and improves governance. It also can provide more investment options since the consolidated plan now has more capital. Clara is looking to launch in the coming months, where it will announce its first deal. Churchill said the new move was a “significant opportunity” for him, and that he was “looking forward to helping pioneer” the pension consolidation movement. While pension consolidations are still in their early days, Churchill hopes they will become the “route of choice” for companies looking to provide more security for the retirements of their beneficiaries. Churchill also previously chaired NEST from 2010 to 2015 and the Financial Services Compensation Scheme from 2012 to this year. In his 40-plus years of financial service experience, 30 of them have been on boards.